Every service provider and support staff at Serendipity works on a performance based level system. As a stylist moves up the levels and achieves performance-based promotions their prices increase slightly, this is why different stylists are at different prices for similar services.The level system accomplishes two main goals; The first is to provide a career path of growth and achievement for our team. The second is to provide several options for your various needs. 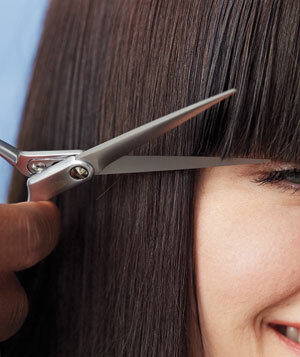 At SHD salon, our service providers achieve promotions based on several factors. These factors include guest satisfaction, guest retention, performance, and education. Guests may choose the level that best fits their needs and their budget. The designers level of competency or creativity is not necessarily related to the years of experience he or she has. This is a common misconception. The training our team receives is aggressive, consistent, innovative, and in-depth. It starts from the moment they are hired and continues through their entire career with us. A customized haircut for women, men, and children designed by your stylist to fit your individual style and preference. Our salon uses Matrix, Redken, and Pravana professional hair color. Each product line offers rich, radiant color. Luminous shine and consistently stunning results. It also offers excellent grey coverage, subtle to dramatic blonde shades and vibrant, long lasting reds. 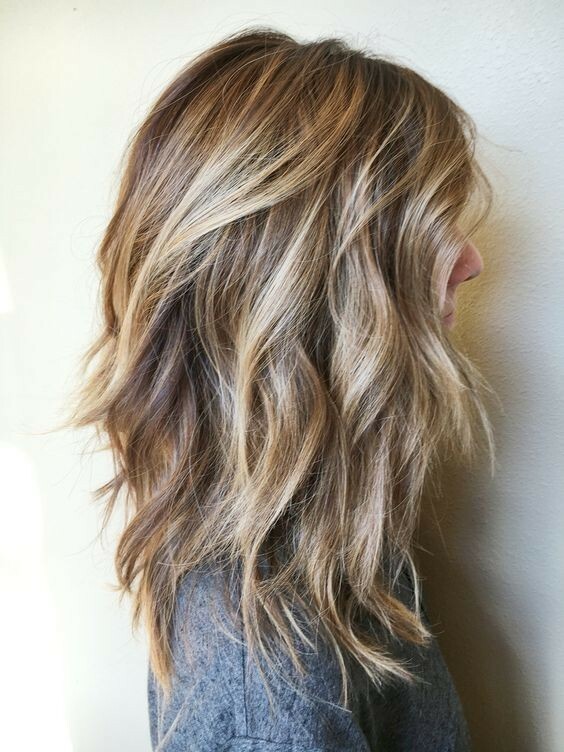 Add more dimension to your hair color with highlights, lowlights, or balayage. Strand by strand, a micro loop extension is applied to a similar sized piece of your own hair around 1 cm away from the scalp. Tiny, silicone lined aluminium rings hold the extensions securely in place, without the need for any harsh glues or chemicals. There are a few great reasons to try hair extensions. You can achieve the long hair you’ve been dreaming of and working towards in a matter of minutes. You can play around with different colors, finally try out the ombre trend, or add in those highlights/lowlights you’ve been itching towards. All that without having to worry about the long-term commitment, and without causing any damage to your hair. If you suffer from hair loss or thinning hair, hair extensions are a great resource for getting back that volume that you once had. A body wave is a perm that is wrapped using larger rods, but still allowing for a loose curl pattern to form. A body wave is a great way to achieve movement in the hair as well as a softer, larger curl or more of a beachy type curl pattern. However, the length of time a body wave will last can be less than that of other perm wraps. A spiral perm is when the rod is placed into the hair vertically. Very small sections are taken resulting in a lot of perm rods. The type of curl you can expect is corkscrew. Size of the rod will be based on hair length and desired amount of curl. Waxing is hair removal from the root and doing this over time you damage the hair bulb meaning hair grows back less dense and with a finer texture.” This may seem like a good thing if you want to make your body hair thinner. Almost any area of the body can be waxed, including eyebrows, face, legs, arms, back, abdomen, knuckles, and feet. Our customized facial can be suited to any skin type—including Oily, Dehydrated, Aging, or Combination. A deep cleanse and tone is followed by professional exfoliation (using either a light enzyme or gentle scrub) to polish away impurities. Next, steam is applied before extractions, to clear out congestion and reveal a fresh complexion. All of our skin care treatments include a customized application of result enhancing serums, skin-specific masques, moisturizers and an SPF to protect. Chemical peels can make a dramatic difference in your skin – they can smooth texture, improve line and wrinkle appearance, brighten, lift pigment, increase hydration, and firmness. What to expect from a Chemical Peel: We’ve all seen scary post-peel results, but that doesn’t mean you should expect the worst when you book your treatment. Most traditional chemical peels are formulated with a single acid in a monster percentage. These ablative peels can leave you hiding for several itchy, unsightly days. Deep pore cleansing facial includes cleansing, steam, extractions, facial massage, and facial masks. This treatment is beneficial because it targets specific problems such as breakouts, dehydration, fine lines and many other skin problems. A style is a stand-alone service in which you come to the salon for a relaxing shampoo, blow dry and iron finish. An updo is an elegant style where the hair can be pinned half up or all hair pinned up exposing neck and shoulders. *For Bridal and Bridal party pricing, see the BRIDAL page in navigation menu. The Shellac manicure by CND is a hybrids, meaning it is half nail polish, half gel. It is the original 14+ day nail color system that removes gently - never requiring a drill. Norvell Tech applied Air Brush spray tanning. Norvell spray tanning solution is an Exotically Inspired formula combining a violet and brown tone of bronzer’s. Norvells’ Venetian line is Mediterranean Beach color formulated to mimic this sought after color of this beautiful region. The color works with all skin tones to produce deepest, darkest, longest lasting tan yet! Pick your color light, medium, or dark.